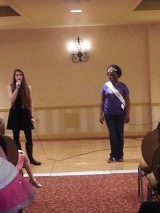 Lacrissa Lamar, Kentucky Jr. Pre-Teen Cover Girl, helped at the Training Session in Louisville. 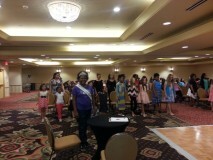 Lacrissa Lamar, Kentucky Jr. Pre-Teen Cover Girl, helped at the Training Session in Louisville. Lacrissa came to the Crowne Plaza to help at the training sessions for new contestants competing at the Kentucky State Pageant. 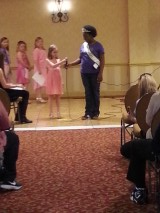 She helped with personal introduction and welcoming all of the contestants and their families. Previous Previous post: Caitlyn Capre, Miss Georgia Pre-Teen, met with the Governor and toured the Capitol! 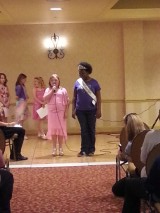 Next Next post: South Carolina Princess Queen Anna-Grace Reep volunteered at the South Carolina March of Dimes.